Natural antibodies are formed spontaneously without specific immunisation, in germ-free conditions. They are the first line of defence of the newborn organism [1-10], though this definition does not encompass anti-Gal antibodies and/or anti-Gal natural antibodies . They were discovered about half a century ago [7, 10]. As early as in 1908, a Nobel prize was awarded to Paul Ehrlich for, among other things, the hypothesis that the organism of a healthy person creates antibodies which are part of “all antibodies” . The term “natural antibodies” was first introduced by Boyden in 1963 . In Poland, in the 1980s these proteins were described  as an important element of immunity, though it was a controversial notion, e.g., in the context of artificial antigens. Natural antibodies are the first line of defence against infections before the creation of germinal centres in which adaptive antibodies are formed [8, 12, 14]. They occur in many vertebrates, e.g. amphibians, reptiles, fish, birds, and mammals, including humans [8, 15, 16]. In humans, they consist mainly of immunoglobulin M, immunoglobulin A with isotypes IgA1 and IgA2, and IgG, mainly IgG3, but also IgG1, IgG2 and IgG4 [1, 7, 8, 15-17]. Natural antibodies are synthesised by the subpopulation of B lymphocytes, mainly B1 lymphocytes and marginal zone B cells [1, 7-9, 12, 14-21]. While describing anti-Gal antibodies and/or anti-Gal natural antibodies, some authors [22-24] point out that the antibodies are formed by about 1% of circulating B lymphocytes, and that these are IgG, IgM, IgA and IgE, which constitute about 1% of all of the immunoglobulins present in blood. In contrast to adaptive antibodies, natural antibodies (mainly IgMs) are produced before the exposure to foreign antigens or pathogens . Unlike natural antibodies, adaptive antibodies are specific to a certain antigen and are produced by B2 cells, which require the binding of the antigen to the B-cell receptor (BCR) of B2 lymphocytes and the additional “help” of T lymphocytes . In mice and humans, the isotopes of natural antibodies mainly create and switch B1 lymphocytes . Their numbers decrease with age, which leads to a decrease in their immunological potential [8, 14, 16, 21, 26, 27]. Regardless of these facts, it was observed that there are healthy people who do not experience changes in the concentration of natural IgMs, even when they are over 25 years old [28-30], but the numbers of natural IgGs in their bodies rise . Natural antibodies also differ from adaptive antibodies in their function , but similarly to adaptive antibodies, they are also multi-specific (polyreactive) and they identify autoantigens and new antigenic determinants, including those formed during apoptosis or the processes of oxidation [1, 14]. The autoreactivity of natural antibodies is mainly based on their ability to bind with such particles as oxidized low-density lipoproteins (oxLDL), which occur during atherosclerosis, amyloid and tau proteins, which occur in neurodegenerative diseases, and the NGcGM3 antigens (N-glycolyl [NGc] granulocyte macrophage [GM3]), which accompany malignant neoplasms [1, 6, 8, 12, 14, 32-40]. One of the most important functions of natural antibodies, including anti-Gal antibodies and/or anti-Gal natural antibodies, is the protection against viral, bacterial, fungal and protozoan pathogens . Natural antibodies also recognise phosphorylcholines – a constituent of the membranes of many cells , including bacteria such as Streptococcus pneumoniae. It is assumed that they ensure specific homeostasis for the organism [1, 8, 9, 11, 12, 14, 32, 37, 38, 41]. This specific state of the organism conditioned by natural antibodies is also associated with the accelerated elimination of dead and dying cells and other “remains”, including factors potentially leading to inflammation and toxic elements directly responsible for damaging cells and tissues [8, 14]. Natural antibodies are also associated with the human microbiome as there is an important relation between natural antibodies and the commensal flora of the organism, which strongly influences the variety of natural antibodies [7, 12, 16, 18, 42-46]. 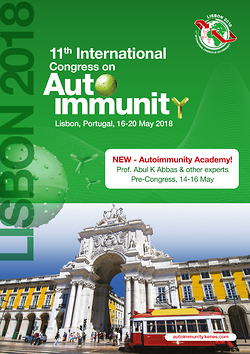 It has been demonstrated that already at the early stages of life a constant dynamic balance is formed between the immune system of the host and microbiome antigens, a fact which has an influence on the proper development of the immune system [12, 18, 45, 46]. This state is conditioned by the participation of autopolyreactive receptors of humoral and cell-mediated immunity of low affinity to these antibodies and commensal bacteria. This situation means that even though the antibodies are able to recognise autoantigens and commensal microorganisms, they do not destroy them . It was observed that natural antibodies synthesised by B1 lymphocytes and marginal zone lymphocytes are also conditioned by the influence of T lymphocytes, including T lymphocytes (abundant in the digestive tract), which together with numerously produced cytokines influence the synthesis of natural antibodies [1, 14]. It was observed that in non-immunised mice T lymphocytes effectively influence not only the numbers of natural IgA and IgG, but also the specifics and repertoire of these proteins [1, 47]. The analysis showed that T lymphocytes regulate the functional activity of natural antibodies by influencing, among other things, the level of IL-4, and it was observed that IL-18 increases the production of SIgM [1, 48]. It is assumed that the level and activity of natural antibodies of humans and mice are influenced by the changes occurring in T lymphocytes, mainly forming due to the influence of intestinal flora , and the fact that they provide cytokines. They support and modulate the development of B lymphocytes and influence the formation of natural antibodies even before the immunisation of the organism . It has been demonstrated that natural antibodies working in tandem with complement serve as endogenic adjuvants in the production of CD8+ lymphocytes, e.g. after vaccination against leishmaniasis . Therefore, it is suggested  that immunological complexes created from natural antibodies can be the reason for the increase in the numbers of CD8+ lymphocytes and that they might stimulate these cells to secrete IL-4 . B1 lymphocytes, recently isolated as a new subpopulation of B lymphocytes [8, 14, 21], are generated in waves during ontogenesis, mainly in the fetal and post-fetal period. They are not created at later stages of life [14, 21, 49]. B1 lymphocytes develop outside the fetus from the yolk sac and the para-aortic splanchnopleura, in the fetal period from the bone marrow and liver, and in the first weeks after birth from the bone marrow [21, 49]. Initially, the function of B1 lymphocytes was established on the basis of the research carried out on mice, and their receptor profile (CD20+CD27+CD43+CD70) was determined on the basis of the analysis of umbilical cord blood and peripheral blood of adults [8, 12, 14, 50-52]. In mice, B1 lymphocytes are located mainly in the peritoneal cavity, pleural cavity, spleen, bone marrow and in small amounts in lymph nodes and blood [19, 53, 54]. These lymphocytes are different from conventional B2 lymphocytes in size. They are characterised by increased survivability ex vivo and resistance to apoptosis dependent on Fas receptors [14, 50, 51]. B1 lymphocytes are characterised by unique expression of proteins and gene transcription. They also have different signalling properties, including the reaction to phorbol ester . They are characterised by higher intracellular concentration of Ca2+, and their development is independent of the influence of the B-cell activating factor BAFF/BLys and IL-7 . However, B1 lymphocytes, similarly to B2 lymphocytes, are characterised by the basic function of B lymphocytes, i.e. the synthesis of antibodies necessary for the protection of the organism against pathogens [8, 9, 12, 14, 55]. It is assumed that the main sources of natural antibodies, both in mice and humans, are B1 lymphocytes and B lymphocytes of the marginal zone (MZ), but also other subpopulations of B lymphocytes [1, 7-9, 12, 14-21]. It is assumed that, due to their heterogeneity, B1 and MZ lymphocytes influence the occurrence of differences between the synthesised natural antibodies . It is assumed that 80-90% of resting IgMs of the serum and 50% of resting serum IgAs (the major isotype of switched B-1 cell immunoglobulin) are produced by B-1 cells [12, 14, 16]. In mice, it has also been demonstrated that natural antibodies are different from adaptive antibodies in a number of ways, including their functioning . Natural antibodies are polyreactive, autoreactive, and they express a relatively modest anti-microbial affinity [8, 14, 56, 57]. Polyreactivity ensures different heterology for a single antibody, though this is also conditioned by widely arranged surface antigens. As a result, their avidity increases . The special manner of their conformational changes in the Fc region makes them very efficient . It is assumed that the most studied natural antibodies in humans and mice are IgMs. They are germline-encoded and produced by B1a (CD5+) lymphocytes, mainly of the spleen, but also by B1 lymphocytes of the peritoneum and bone marrow [1, 3, 14, 21, 58, 59]. Natural antibodies are important in the prevention of illnesses, including autoimmune diseases , which is also observed in relation to anti-Gal antibodies and/or anti-Gal natural antibodies in Crohn’s disease and Henoch-Schönlein purpura . It was also determined that natural antibodies can be used in the treatment of older people [8, 14, 50]. In other examples, they are used in the case of degenerative diseases associated with the accumulation of toxic particles and in the treatment of bacterial infections [8, 14, 60]. Born et al. and Ugorski suggest that the existence of natural antibodies has been programmed in ontogenesis in such a way as to enable mammals to develop normally by ensuring all the necessary functions and protection against common pathogens at the time when there are no adaptive antibodies [1, 10]. Such a state influences tissue homeostasis and immunological balance important in the case of infectious diseases and anticancer protection [1, 7, 8, 12, 14, 32, 37-39]. Formed during an infection, the state is influenced by the fact that, importantly, the main component of natural antibodies recognises phosphorylcholines (PC), which are a key constituent of cell membranes of Gram-positive and Gram-negative bacteria, as well as protozoa and fungi [7, 14, 48]. It is currently suggested that natural antibodies also recognise the PC of membranes of apoptotic cells and oxidised lipids [5, 7, 14, 61-65]. Such recognition of antigens by natural antibodies, mainly apoptotic cells, is conditioned by their other element – phosphatidylcholines (PtC) – which are a key constituent of aging (apoptotic) erythrocyte membranes present in elderly people [14, 66]. This specific recognition of apoptotic cells by natural antibodies may also lead to the excessive activation of the immune system and chronic inflammation . On the other hand, participation of natural antibodies in the removal of apoptotic cells leads to a decrease of the inflammation [7, 67]. Natural antibodies also recognise low-density lipoproteins, protecting the organism against atherosclerosis because oxLDL lead to the formation of atherosclerotic plaque, inflammation and in consequence to cardiovascular diseases. Furthermore, natural antibodies bind with the oxidised main form of lipoproteins – apolipoprotein B100 [8, 14, 38]. These antibodies also participate in the prevention of tumours [8, 68]. By binding with the tumour antigen NGcGM3 – which is present, e.g. during lung cancer – they may lead to the elimination of cancer cells. Binding with a tumour antigen proceeds via a mechanism dependent on the complement and/or an oncosis-like mechanism dependent on the complement [8, 33, 48, 68, 69]. The participation of natural antibodies was also observed in reactions with the Thomsen-Friedenreich tumour antigen [1, 32, 70], the ganglioside of neurons in the Guillain-Barré syndrome [1, 71] and the amyloid present in the Alzheimer disease [1, 8, 26, 39, 72]. It is suggested that, due to this array of functions, natural antibodies might also serve as biomarkers in the clinical studies of these states [12, 14, 63]. It is accepted that the increased frequency of many diseases, including the illnesses common in older people, is associated with a decrease in the number of antibodies [8, 14, 26, 48]. Therefore, more and more often, in order to treat these states, it is recommended to use intravenous immunoglobulins (IVIG) which are built mainly from IgGs, including natural IgGs, and trace amounts of polyclonal natural antibodies – IgMs and IgAs [1, 7, 12, 35, 39, 41, 73-78]. It has been demonstrated that a therapy using IVIG is very effective in patients with autoimmune diseases and the systemic inflammatory response syndrome (SIRS) . Currently, due to the features of natural antibodies, mainly IgMs, there are attempts to use these antibodies along with IgAs in IVIG, which should increase the anti-inflammatory capabilities of the preparation . The M class immunoglobulins are the most studied natural antibodies. They commonly occur in healthy people and are well represented in the circulation after birth [12, 48, 80]. The antibodies of this class are one of the main immunoglobulins in the organism, and they are the earliest to form out of all the antibodies during ontogenesis . Both in humans and animals, they manifest large amounts of SIgM (300-800 µg/ml for mice and 400-2300 µg/ml for humans) . Most natural IgMs are formed by B1 lymphocytes, but also by B lymphocytes of the marginal zone of the spleen [3, 7, 12, 14, 16, 21, 58, 59, 80, 82, 83]. These antibodies probably account for about 80% of all IgMs circulating in the organism [12, 16, 21] and regardless of their immunological function [14, 48, 55] they also have an influence on the development of B lymphocytes . In mice and humans, IgMs are mainly encoded in the germline, and they are formed by B1a (CD5+) lymphocytes [1, 21]. However, there are a lot of data suggesting that, apart from B1a (CD5+) lymphocytes, B1b (CD5-) lymphocytes are also responsible for the synthesis of IgMs . The production of natural IgMs may also be increased through the activation of LPS/TLR or by activation of the B-cell receptors by pathogens [16, 48]. It was also observed  that natural IgMs undergo expression in epithelial cells stimulated by a TLR9 agonist, and due to this fact it is assumed that these cells are also an important source of natural IgMs. Similarly to adaptive IgMs, natural antibodies of the M class are pentameric molecules. However, in patients suffering from autoimmune diseases  and chronic liver diseases, natural IgMs may occur mainly in the monomeric form . Natural IgMs have an Fc receptor specific for IgMs (FCMR), which is a transmembrane protein with the particle mass of about 41 kDa. However, after the process of O-glycosylation in the extracellular domain, the protein mass might increase to 60 kDa . The receptor also undergoes expression in many immune system cells, including B CD19+ lymphocytes, T CD4+/CD8+ lymphocytes and NK CD56+/CD3- cells . More prominently, it undergoes overexpression in the case of chronic lymphocytic leukaemia and because of that it may serve as a specific marker for this illness . Polyvalent natural IgMs with 10 antigen binding sites recognise many structures, including proteins, carbohydrates, phospholipids and nucleic acids. They participate in the identification of apoptotic cells thanks to the changes to which the membrane of the cells is subjected. One of those changes is oxidation, which may enable the recognition of the main lipid group of phosphorylcholine [5, 12, 48, 64, 82, 87]. The role which natural IgMs play in the process of phagocytosis of apoptotic cells leads to the confirmation of their anti-inflammatory effect. This feature has been confirmed in mice with a deficit of natural M-class antibodies. In this case, the potential anti-inflammatory properties of IgMs in relation to the membranes of apoptotic cells has been demonstrated [2, 12, 87]. It has to be added that the clearance of apoptotic cells is associated not only with the removal of cellular bodies, but also with the protection against potentially harmful factors, namely the high-mobility group box protein 1 (HMGB – 1) and heat shock proteins (HSP)  – the elements that form hazard factors – DAMP (damage-associated molecular patterns) . In vitro research showed that the anti-apoptotic properties of natural IgMs in relation to the PC determinant inhibit the expression of cytokines by means of toll-like receptors (TLR) and the activation of mitogen-activated protein kinases, which are elements of the innate cell immunity [2, 12]. Natural IgMs may also induce specific anti-inflammatory signal pathways, which are dependent on the induction of the immunosuppressive phosphatase mitogen activated protein kinase phosphatase 1 (also known as MKP-1 or DUSP-1) in dendritic cells derived from the bone marrow [5, 12, 64]. Currently, it is assumed that the removal of apoptotic bodies from the organism is associated with the functioning of SIgM, the functioning of which is dependent on numerous elements of the immune system, including the IgM Fc/µR receptor and the complement component C1q [7, 58, 80, 89]. Moreover, this process is also associated with natural IgMs, because these antibodies combine with the complement component C1q, leading to a situation in which apoptotic bodies are directed towards macrophages [7, 58, 80, 89], which destroy them in the process of efferocytosis [90-92]. Therefore, thanks to such polyreactivity, they strengthen the effectiveness against infection by using phagocytosis and other processes [3, 5, 64, 80, 93]. Activation of the complement cascade, by lectin which binds mannose or by a constituent of the C1q complement, may also take place when the targets of natural IgMs are the PC epitopes of apoptotic cells [2, 3, 5, 9, 12, 48, 64]. It has been demonstrated that the serum of newborns is characterised by high reactivity of natural IgMs towards many self-antigens, viral ssDNA and LDL particles [6, 12, 35, 36, 94], common bacterial antigens, phospholipids and some cell membrane proteins [1, 9, 21, 94]. Numerous studies show that autoimmune diseases can be blocked by natural autoantibodies of the IgM isotype that mask the antigens originating from pathogenic autoimmune T lymphocytes . In mice which were deprived of the ability to create SIgM, it was observed that the animals were predisposed to develop “pathogenic” IgG autoantibodies and lupus-like autoimmunity [12, 95, 96]. Therefore, it is concluded that natural IgMs protect the organism against autoimmune diseases , and this protective characteristic of IgM is also true for cardiovascular system illnesses. [12, 15, 21]. Natural IgMs may participate in the feedback inhibition of B1 cell differentiation . This function of IgM was observed in mice with a deficiency of secreted IgM and those with insufficient FcµR [97-99]. It was observed that the number of B1 lymphocytes in the MZ of the spleen significantly increased in mice with insufficient IgM, whereas the concentration of IgM increased in the animals with a deficiency of FcµR. This phenomenon may indicate that the level of natural IgMs maintains the homeostasis of B cells through binding FcµR [97-99]. The participation of IgM in the protection against atherosclerosis was confirmed by a study on mice. In this case, natural IgMs probably removed oxidised low-density lipoproteins and “pathogenic” lipids [12, 34, 38, 40]. Furthermore, natural IgMs inhibit the progression of atherosclerotic changes in cases of hypercholesterolaemia in mice suffering from the deficiency of apolipoprotein E (ApoE) [12, 100]. Their protective role was also registered in patients subjected to haemolysis and those with acute coronary syndromes. It was observed that when the level of natural IgMs in these patients was low, the mortality rate was increased [12, 63, 101]. Due to this fact, it is assumed that a high concentration of these antibodies decreases the risk of cardiovascular diseases, such as myocardial infarction (heart attack) and stroke [5, 12, 37, 64]. It is assumed that natural IgMs can serve as markers in studies that allow one to determine the occurrence of these illnesses, mainly disorders associated with atherosclerosis . In mice, it was determined that natural IgMs are also a basic element which forms the protective barrier against microorganisms because a reduction of IgMs leads to infection in these animals [7, 12]. It has been demonstrated that the IgM class antibody can also cross-react with epitopes associated with the pathogenic bacteria Porphyromonas gingivalis, which are responsible for inflammation in the oral cavity [12, 102]. This antibody also protects the human organism against infection with Pseudomonas aeruginosa, Streptococcus pneumoniae and influenza virus . An increase in their levels is also observed during infections caused by Mycoplasma pneumonia and Epstein-Barr virus [103-105]. These natural antibodies also support host immunity to infections with the Pneumocystis fungus . It was observed that they also have an influence on the recognition of the antigens of this type of fungi via dendritic cells, increasing their migration to lymphatic nodes and causing intense differentiation of Th2 and Th17 cells during infection with this pathogen . Thus, it can be assumed that natural IgMs are responsible for many physiological processes, including the homeostasis of tissues, the modulation of the immunological response and the apoptotic clearance of cells [12, 14, 21, 48]. It is probable that these antibodies are an important factor which makes it possible to survive the conditions of chronic inflammation , but, at the same time, they strengthen the inflammatory state by increasing the secretion of, e.g. crystals of uric acid, which amplify the inflammation by recruiting neutrophils . As mentioned above, natural IgMs protect humans against autoimmune diseases , probably including systemic lupus erythematosus. They are also responsible for the prevention of cardiovascular diseases, including atherosclerosis [5, 7, 12, 21, 37], and old-age illnesses . In terms of natural antibodies, apart from the widely known IgM, there are also natural IgAs and IgGs [8, 12, 17, 45, 46]. Natural IgGs are further divided into subclasses IgG1, IgG2, IgG4 and the highest level of IgG3 [1, 7, 8, 16, 17]. IgG antibodies are the only isotypes that can cross the barrier of the placenta in order to ensure fetal immunity [7, 9, 19]. IgGs are created by various subpopulations of B lymphocytes, and it is supposed [1, 7-9, 12, 14-21] that B1 lymphocytes and B lymphocytes of spleen MZ are mainly responsible for the expression of IgG2 [7, 8, 12, 16]. Both natural IgGs and IgMs bind with the same phylogenetically conserved antigens and in mice about 15-20% of IgGs were found to be polyreactive, similarly to IgAs . In contrast to IgMs, natural IgGs are inactive after birth. In mice, it has been demonstrated that B lymphocytes begin the production of IgGs after exposure to intestinal bacteria or foreign antigens [7, 8, 12, 16, 42, 73]. It was reported that in humans it can take as long as two years before the concentration of natural IgGs in the serum becomes high enough to be noticeable . It is also suggested that autoreactive T lymphocytes may activate B lymphocytes to produce natural IgGs in adults . It was observed that the level of polyreactive anti-dsDNA IgGs increases after various infections and that the same anti-dsDNA IgGs cross-react with the antigens of microorganisms, including bacteria [16, 43, 108]. The potential role of natural IgGs in controlling inflammation has been demonstrated, based on a complex that formed in haemolytic conditions, between IgG antibodies and haemoglobin . It has been shown in vitro  that purified natural IgGs derived from the serum of healthy people recognise Gram-positive and Gram-negative bacteria by means of pattern recognition receptors (PRRs), such as ficolin or mannose-binding lectin (MBL). It is known that, by binding with polysaccharide residues on microorganisms, C-type lectin causes the formation of a complex which includes natural IgGs and lectin, strengthening the process of bacterial phagocytosis via FcR1 of, e.g. monocytes . These PRR:PRR interaction-mediated mechanisms induce even stronger immunological responses . In this case, an interaction between IgG and ficolin occurs, amplifying the aforementioned phagocytosis [7, 17, 109]. Interestingly, the characteristic complex of IgG-ficolin occurs in both humans and mice, which proves the fundamental importance of IgGs in the immunological protection of the organism [7, 76]. Both natural IgGs and adaptive IgGs react with PRRs via the C region of the H chain, which indicates that Fc is important in the transmission of host defence information, regardless of the origin and specificity of IgGs . Natural IgGs also specifically cooperate with lectin in the struggle against infections caused by Pseudomonas aeruginosa and Staphylococcus aureus [7, 17]. The human anti-PC IgGs mainly represent the IgG2 subclass, whereas anti-MDA (malondialdehyde) represent IgG1 or IgG3 subclasses, the latter having a higher potential to include the complement cascade and to engage in the activation of the Fc immunoglobulin receptor [5, 7, 12, 64]. It was observed that anti-MDA IgGs do not show high expression apart from in patients with inflammatory diseases [5, 12, 64], and that anti-PC IgGs are present even in healthy people . Therefore, it is assumed that these natural IgGs participate in both the regulation of inflammatory states and in the protection of the organism against pathogens, fulfilling the role of innate immunity . On the other hand, natural IgAs are a group of immunoglobulins consisting of two subclasses, IgA1 and IgA2, which are present in mucosal surfaces [8, 12, 14]. In their case, it has been demonstrated  that a percentage of natural IgAs are formed by B1 lymphocytes at the newborn stage [7, 12, 44-46] and that, together with natural IgMs, they recognise autoantigens and bind with homologous molecules produced by different microbes . It was observed that natural IgAs along with natural IgMs are important factors responsible for a variety of microbes which settle in the human intestine – the microbiome [12, 45, 46]. It has been shown that the isotypes of IgA inhibit inflammation by participating in it via a reaction with the Fc type 1 receptor (FcR1/CD89), but the manner in which they take part in this process is a matter of debate . The regulating role of natural IgAs has also been demonstrated in patients who suffered from a selective deficiency of IgAs, when the concentration of both IgA1 and IgA2 was significantly decreased or totally absent but, at the same time, the concentration of IgMs and IgGs remained normal . In such a case, apart from a higher frequency of occurrence of infections in the respiratory tract and digestive tract, the patient was more susceptible to autoimmune disorders, allergy-related illnesses, haematological diseases, arthritis, chronic liver inflammation, ulcerative colitis and Crohn’s disease. Though the basic definition of natural antibodies [1-10] determines that anti-Gal antibodies and/or anti-Gal natural antibodies do not belong to the abovementioned group of natural antibodies, they are placed in this category by numerous authors [22-24]. According to these authors, anti-Gal antibodies and/or anti-Gal natural antibodies occur in the form of IgG, IgM and IgE isotopes in humans and humanoid apes, e.g. chimpanzees, gorillas, Catarrhini and Cercopithecidae (such as macaques and baboons), i.e. organisms that do not include -Gal epitopes [22, 23]. The authors also explain that the absence of the -Gal epitope in the abovementioned mammals is the result of evolution that happened 20-28 million years ago, during which the gene codling a1,3-galactosyltransferase (GGTA1) was silenced. Therefore, anti-Gal antibodies and/or anti-Gal natural antibodies are a result of the response to the -Gal epitope of the structure Gala1-3Galb1-4GlcNAc-R, which is a specific ligand for these antibodies [22-24]. It has been shown that this epitope occurs in the carbohydrate chains of glycolipids and glycoproteins of erythrocytes, e.g. in fibrinogen, the von Willebrand factor, integrins and the mucous membrane of the gastrointestinal tract, mainly of the liver, the epithelium cells of the vascular system and the vomeronasal organ [22, 23]. According to the authors [22, 23], anti-Gal antibodies and/or anti-Gal natural antibodies do not occur in the organism at birth, but they are produced by B-1 cells constantly throughout human life as an immune response to contact with microorganisms (including intestinal microflora) and food, whose features include the presence of the -Gal epitope [22, 23]. In newborn children, only IgG anti-Gal is present. It is acquired by the child from the mother via transfer from the placenta during pregnancy [23, 24]. Therefore, the information regarding anti-Gal antibodies and/or anti-Gal natural antibodies is in opposition to the definition that determines what natural antibodies are [1-10], as it is accepted that natural antibodies occur in the human organism from birth, without immunisation and in germ-free conditions. This is why anti-Gal antibodies and/or anti-Gal natural antibodies are often not included among natural antibodies during their description [1-11]. Regardless of these facts, anti-Gal antibodies and/or anti-Gal natural antibodies fulfil numerous important roles, ensuring immunity in reference to some viruses (influenza, vesicular stomatitis virus, the lymphocytic virus of uveitis), bacteria (Borrelia hermsii, Listeria monocytogenes), fungi (Cryptococcus neoformans, Pneumocystis murina) and protozoa (Trypanosoma cruzi), which is connected to the reaction to the -Gal epitope present on their surface [11, 22]. It has also been demonstrated that anti-Gal antibodies and/or anti-Gal natural antibodies can lead to chronic inflammations as a result of Trypanosoma brucei, Leishmania (L) mexicana and L. major protozoan infection . Moreover, these antibodies serve as an immunological barrier in the procedure of successful animal-to-human cell, tissue and organ transplantation, e.g. from pigs, as it has been observed that pig cells include numerous -Gal epitopes on their surface causing hyperacute rejection when they are transplanted into the human body [22-24]. It has also been demonstrated that IgE formed for the -Gal antigen lead to an allergy , which has been confirmed in patients suffering from non-small cell lung cancer (EGFR), possibly leading in these patients to anaphylactic shock – which is a life-threatening state . The anti-Gal IgE antibody which causes allergy may also be associated with -Gal epitopes that are present in beef and pork. Thus, if these antibodies are formed in patients, they suffer from meat allergy [22, 24]. An increase in the titre of anti-Gal antibodies and/or anti-Gal natural antibodies is observed in many autoimmune diseases, including Crohn’s disease, in which the level of IgG anti-Gal antibody rises, and in Henoch-Schönlein purpura, characterised by an increase in the level of IgA anti-Gal . The facts concerning the participation of anti-Gal antibodies and/or anti-Gal natural antibodies in numerous pathological states are used in clinical practice as they increase, among other things, the immunogenicity of virus vaccines [22, 23]. It has been demonstrated that vaccines which make use of the 1,3GT enzyme are far more effective than those that do not feature it, which has been shown in recombinant vaccines against the virus of influenza [22, 23]. It has been established that, additionally, anti-Gal antibodies and/or anti-Gal natural antibodies accelerate the process of wound healing, including burns. The wounds are treated with -Gal nanomolecules which activate the complement cascade via binding with anti-Gal antibodies and/or anti-Gal natural antibodies, causing induction of migration of macrophages to the location of the wound. This process is associated with the fact that these latter cells create cytokines, including IL-1, vascular endothelial growth factor (VEGF), platelet rich plasma (PRP) and granulocyte colony-stimulating factor (G-CSF), all of which facilitate the process of tissue regeneration and the healing of wounds [22, 23]. This phenomenon has been confirmed by studies using a mouse model in which wounds healed 50-70% faster when they were treated with -Gal nanomolecules [22, 23]. Though natural antibodies were discovered nearly half a century ago, there is still a lot that we do not know about them. We are still discovering their varieties and functions in the human body. Their basic property is the protection of our body after birth. They ensure specific homeostasis by reacting to self-antigens and neo-determinants that are formed, e.g. during apoptosis or oxidation. Moreover, they bind with phosphorylcholine – a constituent of many cell membranes. Probably about 80% of all natural antibodies circulating in the human body are natural IgMs, which are also the best known immunoglobulins. Recent studies focus on discovering the role of natural IgG and IgA. These immunoglobulins, together with IgM, are formed mainly by B1 lymphocytes and lymphocytes of the marginal zone of the spleen. The development of new research methods might soon enable us to characterise natural antibodies in greater detail, and their potential in combating diseases in the infantile period might be recognised by the medical community. 1. Born WK, Huang Y, Zeng W, et al. (2016): A special connection between  T cells and natural antibodies? Arch Immunol Ther Exp 64: 455-462. 2. Chen Y, Khanna S, Goodyear CS, et al. (2009): Regulation of dendritic cells and macrophages by an anti-apoptotic cell natural antibody that suppresses TLR responses and inhibits inflammatory arthritis. J Immunol 183: 1346-1359. 3. Chen Y, Park YB, Patel E, Silverman GJ (2009): IgM antibodies to apoptosis-associated determinants recruit C1q and enhance dendritic cell phagocytosis of apoptotic cells. J Immunol 182: 6031-6043. 4. Deptuła W, Tokarz-Deptuła B, Stosik M (2013): Immunologia dla biologów. Wyd. Nauk. US, Szczecin. 5. Grönwall C, Akhter E, Oh C, et al. (2012): IgM autoantibodies to distinct apoptosis-associated antigens correlate with protection from cardiovascular events and renal disease in patients with SLE. Clin Immunol 142: 390-398. 6. Merbl Y, Zucker-Toledano M, Quintana FJ, Cohen IR (2007): Newborn humans manifest autoantibodies to defined self-molecules detected by antigen microarray informatics. J Clin Invest 117: 712-718. 7. Panda S, Ding JL (2015): Natural antibodies bridge innate and adaptive immunity. J Immunol 194: 13-20. 8. Rothstein TL (2016): Natural antibodies as rheostats for susceptibility to chronic diseases in the aged. Front Immunol 7: 127. 9. Silverman GJ (2015): Protective natural autoantibodies to apoptotic cells: evidence of convergent selection of recurrent innate-like clones. Ann N Y Acad Sci 1362: 164-175. 10. Ugorski M (1979): Naturalne przeciwciała. Post Hig Med Dośw 33: 239-248. 11. Holodick NE, Rodríguez-Zhurbenko N, Hernández AM (2017): Defining Natural Antibodies. Front Immunol 8: 872. 12. Grönwall C, Silverman GJ (2014): Natural IgM: Beneficial autoantibodies for the control of inflammatory and autoimmune disease? J Clin Immunol 34 (Suppl 1): 12-21. 13. Boyden S (1963): Cellular recognition of foreign matter. Int Rev Exp Pathol 2: 311-356. 14. Rothstein TL, Griffin DO, Holodick NE, et al. (2013): Human B-1 cells take the stage. Ann N Y Acad Sci 1285: 97-114. 15. Avrameas S, Selmi C (2013): Natural autoantibodies in the physiology and pathophysiology of the immune system. J Autoimmun 41: 46-49. 16. Lobo PI (2016): Role of natural autoantibodies and natural IgM anti-leucocyte autoantibodies in health and disease. Front Immunol 7: 198. 17. Panda S, Zhang J, Tan NS, et al. (2013): Natural IgG antibodies provide innate protection against ficolin-opsonized bacteria. EMBO J 32: 2905-2919. 18. Avrameas SC (2016): Autopolyreactivity confers a holistic role in the immune system. Scand J Immunol 83: 227-234. 19. Baumgarth N (2016): B-1 cell heterogeneity and the regulation of natural and antigen-induced IgM production. Front Immunol 7: 1-9. 20. Durand CA, Hartvigsen K, Fogelstrand L, et al. (2009): Phosphoinositide 3-kinase p110 delta regulates natural antibody production, marginal zone and B-1 B cell function, and autoantibody responses. J Immunol 183: 5673-5684. 21. Savage HP, Baumgarth N (2015): Characteristics of natural antibodysecreting cells. Ann N Y Acad Sci 1362: 132-142. 22. Galili U (2013): Anti-Gal: an abundant human natural antibody of multiple pathogeneses and clinical benefits. Immunology 140: 1-11. 23. Huai G, Qi P, Yang H, Wang Y (2016): Characteristics of -Gal epitope, anti-Gal antibody, 1,3 galactosyltransferase and its clinical exploitation. Int J Mol Med 37: 11-20. 24. Kralickova P, Kuhnova J, Soucek O, et al. (2017): Antibodies against Pneumococcal Capsular Polysaccharides and Natural Anti-Galactosyl (Alpha-Gal) in Patients with Humoral Immunodeficiencies. J Immol Reserch 2017: 1-8. 25. Xu X, Ng SM, Hassouna E, et al. (2015): Human-derived natural antibodies: biomarkers and potential therapeutics. Future Neurol 10: 25-39. 26. Britschgi M, Olin CE, Johns HT, et al. (2009): Neuroprotective natural antibodies to assemblies of amyloidogenic peptides decrease with normal aging and advancing Alzheimer’s disease. Proc Natl Acad Sci USA 106: 12145-12150. 27. Nicoletti C, Yang X, Cerny J (1993): Repertoire diversity of antibody response to bacterial antigens in aged mice. III. Phosporylocholine antibody from young and aged mice differ in structure and protective activity against infection with Streptococcus pneumonia. J Immunol 150: 543-549. 28. Bachi AL, Suguri VM, Ramos LR, et al. (2013): Increased production of autoantibodies and specific antibodies in response to influenza virus vaccination in physicallu active older individuals. Results Immunol 3: 10-16. 29. Lacroix-Desmazes S, Mouthon L, Kaveri SV, Kazatchkine MD (1995): Analysis of the natural human IgG antibody repertoire: life-long stability of reactive towards self-antigens contracts with age-dependent diversification of reactivities against bacterial antigens. Eur J Immunol 25: 598-604. 30. Lacroix-Desmazes S, Mouthon L, Kaveri SV, et al. (1999): Stability of natural self-reactive antibody repertoires during aging. J Clin Immunol 19: 26-34. 31. Nagele EP, Acharya NK, DeMarshall C, et al. (2013): Natural IgG autoantibodies are abundant and ubiquitous in human sera and their number is influenced by age, gender, and disease. PLoS ONE 8: e60726. 32. Chapman CJ, Murray A, McElveen JE, et al. (2008): Autoantibodies in lung cancer: possibilities for early detection and subsequent cure. Thorax 63: 228-233. 33. Hernández AM, Toledo D, Martinez D, et al. (2008): Characterization of the antibody response against NeuGcGM3 ganglioside elicited in non-small cell lung cancer patients immunised with an anti-idiotype antibody. J Immunol 181: 6625-6634. 34. Kyaw T, Tay C, Krishnamurthi S, et al. (2011): B1a B lymphocytes are atheroprotective by secreting natural IgM that increases IgM deposits and reduces necrotic cores in atherosclerotic lesions. Circ Res 109: 830-840. 35. Madi A, Bransburg-Zabary S, Kenett DY, et al. (2012): The natural autoantibody repertoire in newborns and adults: a current overview. Adv Exp Med Biol 750: 198-212. 36. Madi A, Hecht I, Bransburg-Zabary S, et al. (2009): Organization of the autoantibody repertoire in healthy newborns and adults revealed by system level informatics of antigen microarray data. Proc Natl Acad Sci USA 106: 14484-14489. 37. Padilla ND, Ciurana C, van Oers J, et al. (2004): Levels of natural IgM antibodies against phosphorylcholine in healthy individuals and in patients undergoing isolated limb perfusion. J Immunol Methods 293: 1-11. 38. Ravandi A, Boekhold SM, Mallat Z, et al. (2011): Relationship of IgG and IgM autoantibodies and immune complex to oxidized LDL with markers of oxidation and inflammation and cardiovascular events: results from the EPIC-Norfolk Study. J Lipid Res 52: 1829-1836. 39. Szabo P, Relkin N, Wekselr ME (2008): Natural human antibodies to amyloid beta peptide. Autoimmmun Rev 7: 415-420. 40. Tsimikas S, Brilakis ES, Lennon RJ, et al. (2007): Relationship of IgG and IgM autoantibodies to oxidized low density lipoprotein with coronary artery and cardiovascular events. J Lipid Res 48: 425-433. 41. Vas J, Gronwall C, Silverman GJ (2013): Fundamental roles of the innate-like repertoire of natural antibodies in immune homeostasis. Front Immunol 4: 4. 42. Bos NA, Kimura H, Meewsen CG, et al. (1989): Serum immunoglobulin levels and naturally occurring antibodies against carbohydrate antigens in germ-free BALB/c mice fed chemically defined ultrafiltrated diet. Eur J Immunol 19: 2335-2339. 43. Cohen IR, Young DB (1991): Autoimmunity, microbial immunity and the immunological homunculus. Immunol Today 12: 105-110. 44. Malinowska M, Tokarz-Deptuła B, Deptuła W (2017): Mikrobiom człowieka. Post Mikro 56: 129-138. 45. Shulzhenko N, Morgun A, Hsiao W, et al. (2011): Crosstalk between B lymphocytes, microbiota and the intestinal epithelium governs immunity versus metabolism in the gut. Nat Med 17: 1585-1593. 46. Stoel M, Jiang HQ, van Diemen CC, et al. (2005): Restricted IgA repertoire in both B-1 and B-2 cell-derived gut plasmablasts. J Immunol 174: 1046-1054. 47. Huang Y, Heiser RA, Detanico TO, et al. (2015):  T cells affect IL-4 production and B-cell tolerance. Proc Natl Acad Sci USA 11: 39-48. 48. Stäger S, Alexander J, Kirby AC (2003): Natural antibodies and complement are endogenous adjuvants for vaccine-induced CD8+ T-cell responses. Nat Med 9: 1287-1292. 49. Montecino-Rodriguez E, Dorshkind K (2012): B-1 B cell development in the fetus and adult. Immunity 36: 13-21. 50. Griffin DO, Holodick NE, Rothstein TL (2011): Human B1 cells in umbilical cord and adult peripheral blood express the novel phenotype CD20+ CD27+ CD43+ CD70. J Exp Med 208: 67-80. 51. Griffin DO, Rothstein TL (2012): Human b1 cell frequency: isolation and analysis of human b1 cells. Front Immunol 3: 122. 52. Griffin DO, Rothstein TL (2012): Human “orchestrator” CD11b(+) B1 cells spontaneously secrete interleukin-10 and regulate T-cell activity. Mol Med 18: 1003-1008. 53. Hayakawa K, Hardy RR, Parks DR, Herzenberg LA (1983): The Ly-1 B cell subpopulation in normal immunodefective and autoimmune mice. J Exp Med 157: 202-218. 54. Hayakawa K, Hardy RR, Herzenberg LA (1986): Peritoneal Ly-1 B cells: genetic control, autoantibody production, increased lambda light chain expression. Eur J Immunol 16: 450-456. 55. Shao W, Hu F, Ma J, et al. (2016): Epithelial cells are a source of natural IgM that contribute to innate immune response. Int J Biochem Cell Biol 73: 19-29. 56. Baccala R, Quang TV, Gilbert M, et al. (1989): Two murine natural polyreactive autoantibodies are encoded by nonmutated germ-line genes. Proc Natl Acad Sci USA 86: 4624-4628. 57. Hartman AB, Mallett CP, Srinivasappa J, et al. (1989): Organ reactive autoantibodies from non-immunised adult BALB/c mice are polyreactive and express non-biased VH gene usage. Mol Immunol 26: 359-370. 58. Choi YS, Dieter JA, Rothaeusler K, et al. (2012): B-1 cells in the bone marrow are a significant source of natural IgM. Eur J Immunol 42: 120-129. 59. Holodick NE, Tumang JR, Rothstein TL (2012): Immunoglobulin secretion by B1 cells: differential intensity and IRF4-dependence of spontaneous IgM secretion by peritoneal and splenic B1 cells. Eur J Immunol 40: 3007-3016. 60. Chen ZJ, Wheeler CJ, Shi W, et al. (1998): Polyreactive antigen-binding B cells are the predominant cell type in the newborn B cell repertoire. Eur J Immunol 28: 989-994. 61. Briles DE, Forman C, Hudak S, Claflin JL (1982): Anti-phosphorylcholine antibodies of the T15 idiotype are optimally protective against Streptococcus pneumoniae. J Exp Med 156: 1177-1185. 62. Briles DE, Nahm M, Schroer K, et al. (1981): Antiphosphocholine antibodies found in normal mouse serum are protective against intravenous infection with type 3 streptococcus pneumoniae. J Exp Med 153: 694-705. 63. Caidahl K, Hartford M, Karlsson T, et al. (2013): IgM-phosphorylcholine autoantibodies and outcome in acute coronary syndromes. Int J Cardiol 167: 464-469. 64. Grönwall C, Chen Y, Vas J, et al. (2012): MAPK phosphatase-1 is required for regulatory natural autoantibody-mediated inhibition of TLR responses. Proc Natl Acad Sci USA 109: 19745-19750. 65. Shaw PX, Goodyear CS, Chang MK, et al. (2003): The autoreactivity of anti-phosphorylcholine antibodies for atherosclerosis-associated neo-antigens and apoptotic cells. J Immunol 170: 6151-6157. 66. Hardy RR, Carmack CE, Shinton SS, et al. (1989): A single VH gene is utilized predominantly in anti-BrMRBC hybridomas derived from purified Ly-1 B cells. Definition of the VH11 family. J Immunol 142: 3643-3651. 67. Gray M, Miles K, Salter D, et al. (2007): Apoptotic cells protect mice from autoimmune inflammation by the induction of regulatory B cells. Proc Natl Acad Sci USA 104: 14080-14085. 68. Rodriguez-Zhurbenko N, Martinez D, Blanco R, et al. (2013): Human antibodies reactive to NeuGcGM3 ganglioside have cytotoxic anti-tumor properties. Eur J Immunol 43: 826-837. 69. Hernández AM, Rodriguez N, Gonzalez JE, et al. (2011): Anti-NeuGcGM3 antibodies, actively elicited by idiotypic vaccination in nonsmall cell lung cancer patients, induce tumor cell death by an oncosis-like mechanism. J Immunol 186: 3735-3744. 70. Ulsemer P, Henderson G, Toutounian K, et al. (2013): Specific humoral immune response to the Thomsen-Friedenreich tumor antigen (CD176) in mice after vaccination with the commensal bacterium Bacteroides ovatus D-6. Cancer Immunol. Immunother 62: 875-887. 71. Boffey J, Nicholl D, Wagner ER, et al. (2004): Innate murine B cells produce anti-disialosyl antibodies reactive with Campylobacter jejuni LPS and gangliosides that are polyreactive and encoded by a restricted set of unmutated V genes. J Neuroimmunol 152: 98-111. 72. Kayed R, Jackson GR, Estes DM, Barrett AD (2011): Alzheimer’s disease: review of emerging treatment role for intravenous immunoglobulins. J Cent Nerv Sys Dis 3: 67-73. 73. Coutinho A, Kazatchkine MD, Avrameas S (1995): Natural autoantibodies. Curr Opin Immunol 7: 812-818. 74. Ehrenstein MR, Notley CA (2010): The importance of natural IgM: scavenger, protector and regulator. Nat Rev Immunol 10: 778-786. 75. McCoy KD, Harris NL, Diener P, et al. (2006): Natural IgE production in the absence of MHC class II cognate help. Immunity 24: 329-339. 76. Panda S, Zhang J, Yang L, et al. (2014): Molecular interaction between natural IgG and ficolin-mechanistic insights on adaptive-innate immune crosstalk. Sci Rep 4: 3675. 77. Rahyab AS, Alam A, Kapoor A, Zhang M (2011): Natural antibody – biochemistry and functions. Glob J Biochem 2: 283-288. 78. Schwartz-Albiez R, Monteiro RC, Rodriguez M, et al. (2009): Natural antibodies, intravenous immunoglobulin and their role in autoimmunity, cancer and inflammation. Clin Exp Immunol 158: 43-50. 79. Bayry J, Negi VS, Kaveri SV (2011): Intravenous immunoglobulin therapy in rheumatic diseases. Nat Rev Rheumatol 7: 349-359. 80. Adamiak D, Tokarz-Deptuła B, Deptuła W (2013): Sekrecyjna immunoglobulina klasy M (SIgM). Kosmos 62: 507-512. 81. Wang H, Coligan JE, Morse HC (2016): Emerging functions of natural IgM and its Fc receptors FCMR in immune homeostasis. Front Immunol 7: 99. 82. Boes M, Prodeus AP, Schmidt T, et al. (1998): A critical role of natural immunoglobulin M in immediate defense against systemic bacterial infection. J Exp Med 188: 2381-2386. 83. Tsiantoulas D, Gruber S, Binder CJ (2013): B-1 cell immunoglobulin directed against oxidation-specific epitopes. Front Immunol 3: 415. 84. Bonagura VR, Mendez L, Agostino N, Pernis B (1987): Monomeric (7S) IgM found in the serum of rheumatoid arthritis patients share idiotypes with pentameric (19S) monoclonal rheumatoid factors. J Clin Invest 79: 813-818. 85. Fakunle YM, Aranguibel F, de Villiers D, et al. (1979): Monomeric (7S) IgM in chronic liver disease. Clin Exp Immunol 38: 204-210. 86. Vire B, David A, Wiestner A (2011): TOSO, the FcµR is highly expressed on chronic lymphocytic leukemia B cells, internalizes opun IgM binding shuttles to the lysosome, and is downregulated in response to TLR activation. J Immunol 187: 4040-4050. 87. Notley CA, Brown MA, Wright GP, Ehrenstein MR (2011): Natural IgM is required for suppression of inflammatory arthritis by apoptotic cells. J Immunol 186: 4967-4972. 88. Bianchi ME (2007): DAMPs, PAMPs and alarmins: all we need to know about danger. J Leukoc Biol 81: 1-5. 89. Shima H, Takatsu H, Fukuda S, et al. (2010): Identification of TOSO/FAIM3 as an Fc receptor for IgM. Int Immunol 22: 149-156. 90. Martin CJ, Booty MG, Rosebrock TR, et al. (2012): Efferocytosis is an innate antibacterial mechanism. Cell Host Microbe 12: 289-300. 91. Martin CJ, Peters KN, Behar SM (2014): Macrophages clean up: efferocytosis and microbial control. Curr Opin Microbiol 17: 17-23. 92. Weiss G, Schaible UE (2015): Macrophage defense mechanism against intracellular bacteria. Immunol Rev 264: 182-203. 93. Baumgarth N, Herman OC, Jager GC, et al. (2000): B-1 and B-2 cell-derived immunoglobulin M antibodies are nonredundant components of the protective response to influenza virus infection. J Exp Med 192: 271-280. 94. Air GM (2015): Influenza virus antigenicity and broadly neutralizing epitopes. Curr Opin Virol 11: 113-121. 95. Boes M, Schmidt T, Linkemann K, et al. (2000): Accelerated development of IgG autoantibodies and autoimmune disease in the absence of secreted IgM. Proc Natl Acad Sci USA 97: 1184-1189. 96. Ehrenstein MR, Cook HT, Neuberger MS (2000): Deficiency in serum immunoglobulin (Ig) M predisposes to development of IgG autoantibodies. J Exp Med 191: 1253-1258. 97. Boes M, Esau C, Fischer MB, et al. (1998): Enhanced B-1 cell development, but impaired IgG antibody responses in mice deficient in secreted IgM. J Immunol 160: 4776-4787. 98. Choi SC, Wang H, Thian L, et al. (2013): Mouse IgM Fc receptor FCMR promotes B cell development and modulates antigen-driven immune response. J Immunol 190: 987-996. 99. Lino AC, Mohr E, Demengeot J (2013): Naturally secreted immunoglobulin limit B1 and MZ B-cell numbers throuht a microbiota-independent mechanism. Blood 122: 209-218. 100. Kanevets U, Sharma K, Dresser K, Shi Y (2009): A role of IgM antibodies in monosodium urate crystal formation and associated adjuvanticity. J Immunol 182: 1912-1918. 101. Carrero JJ, Hua X, Stenvinkel P, et al. (2009): Low levels of IgM antibodies against phosphorylcholine-A increase mortality risk in patients undergoing haemodialysis. Nephrol Dial Transplant 24: 3454-3460. 102. Turunen SP, Kummu O, Harila K, et al. (2012): Recognition of Porphyromonas gingivalis gingipain epitopes by natural IgM binding to malondialdehyde modified low-density lipoprotein. PLoS ONE, 7: e34910. 103. Feizi T (1975): Blood group antigens. Ii antigens. Proc R Soc Med 68: 799-802. 104. Loomes LM, Uemura K, Feizi T (1985): Interaction of Mycoplasma pneumoniae with erythrocyte glycolipids of I and i antigen types. Infect Immun 47: 15-20. 105. Silberstein LE, Jefferies LC, Goldman J, et al. (1991): Variable region gene analysis of pathologic human autoantibodies to the related i and I red blood cell antigens. Blood 78: 2372-2386. 106. Rapaka R, Ricks DM, Alcron JF, et al. (2010): Conserved natural IgM antibodies mediate innate and adaptive immunity against the opportunistic fungus Pneumocystis murina. J Exp Med 13: 2907-2919. 107. Hamanova M, Chmelikova M, Nentwich I, et al. (2015): Anti-gal IgM, IgA and IgG natural antibodies in childchood. Immunol Lett 164: 40-43. 108. Watts RA, Isenberg DA (1990): Autoantibodies and antibacterial antibodies: from both sides now. Ann Rheum Dis 49: 961-965. 109. Puga I, Cerutti A (2013): Protection by natural IgG: a sweet partnership with soluble lectins does the trick! EMBO J 32: 2897-2899.